Writing references can be one of those administrative 'grudge' tasks nobody wants to do. 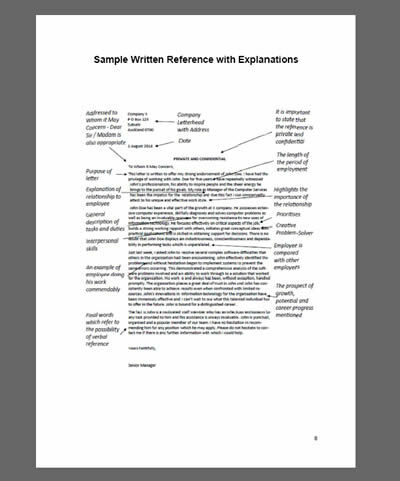 If you are unsure or nervous about providing references and the content of such documents see this guide. There is no legal requirement that obliges an employer to give an employee a verbal orwritten reference. While an employer is under no obligation, an employer may be asked toprovide a reference for the employee for potential new employers. The only obligation can be derived from the wording of an employment agreement or as part of a settlementfollowing the raising of a personal grievance. Employers may avoid giving references and prefer only to give a certificate of service because they may be worried by anything negative that is said if the employee does not live up to any positive comments made. Buy online, get your download password immediately and get to work instantly. "..Thank you very much for your time and expertise. Daunting as this was at first, I now see it is fairly straight forward, and I'm very glad I hired you to do this for us..."